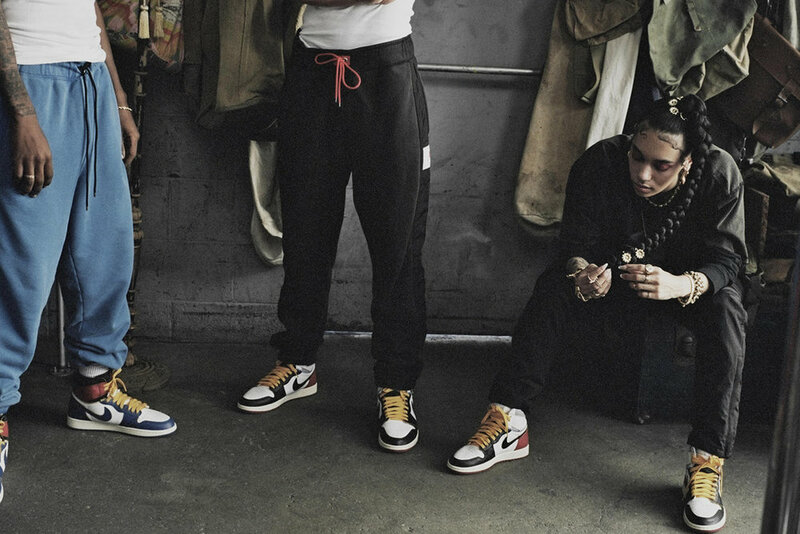 The words ‘Air Jordan’ are synonymous with streetwear around the world today. People are just as familiar with Michael Jordan’s place on a throne at the top of the sneaker game, as they are with his illustrious career in basketball (with brief stints in baseball and film). The sneakers themselves have well and truly transcended their original purpose, now firmly cemented as an icon in fashion history, to the point where it would not be uncommon to find individuals today rocking Jordan Brand with barely any knowledge on who Michael Jordan was, and how game-changing he was on the basketball court. 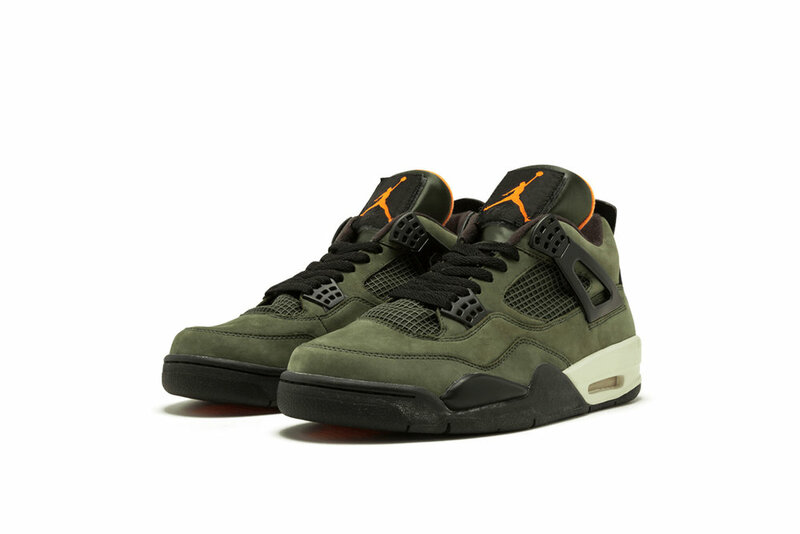 Air Jordan has played such a large part in establishing streetwear and fashion culture today, arguably bringing athleisure/sportswear chic to the streets, making it accessible for everybody, athlete or not. Our Stories series is a deep dive into cultural brands, topics and more to give you more insight and education. Think you have a topic you’d like for us to explore? Feel free to reach out. Upon entering the NBA in 1984, Michael Jordan was already recognised as a generational talent, with resounding success in both his high school and college careers. His athleticism, leadership, and overall basketball IQ had him being scouted by every NBA team under the sun well before becoming draft eligible. Drafted by the Chicago Bulls in early 1984, Jordan had already earned himself a Nike sponsorship and was receiving ‘player exclusive’ or PE shoes (a concept that has carried on to this day, with players such as Chris Paul and Carmelo Anthony earning a slew of their own PE sneakers). Athletes being sponsored by performance footwear brands or Nike specifically was not a new concept. 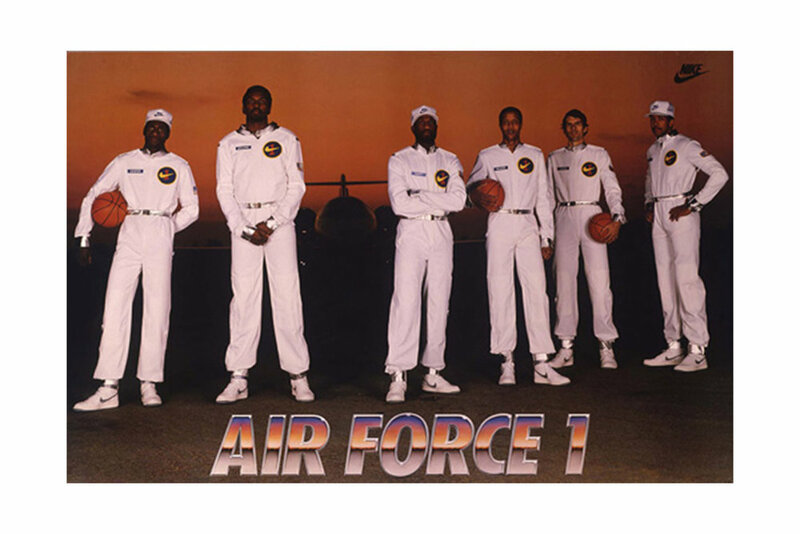 Nike themselves had already been pushing player driven sneaker campaigns, beginning with the Bruin in ‘72 and escalating that to the 1982 “Air Force 1 Original Six” campaign, which used 6 NBA players, including legendary centre Moses Malone, to highlight the Air Force 1 Hi as a performance sneaker. 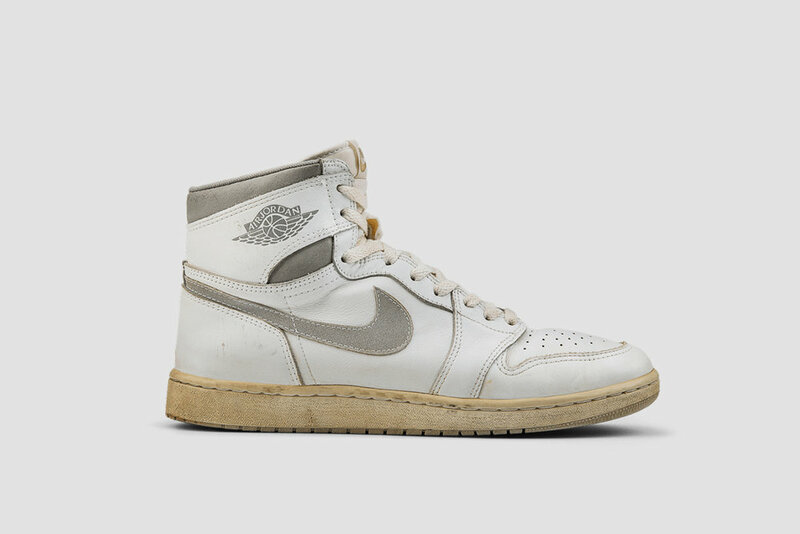 However, in early 1984, Nike announced a unique partnership, titling the project “Air Jordan”, a nickname that Jordan had been awarded by fans, that he himself pitched to Nike to use as the moniker for their new line. Nike and Jordan quickly shifted the basketball sneaker industry, presenting the idea of a player-driven line of sneakers for performance that departed from the drab primarily white sneakers of the past and the era of the Jumpman had begun. Many are familiar with the story of the ‘Banned’ Air Jordan 1, the very first colourway of the signature sneaker to release in 1985. Supposedly, the black and red or ‘bred’ colourway violated the NBA’s ‘51%’ rule at the time, that stated any footwear worn had to be at least 51% white. Although Nike pushed this narrative heavily and utilised it in their famous commercial for the first Jordan model, the truth is slightly less dramatic. 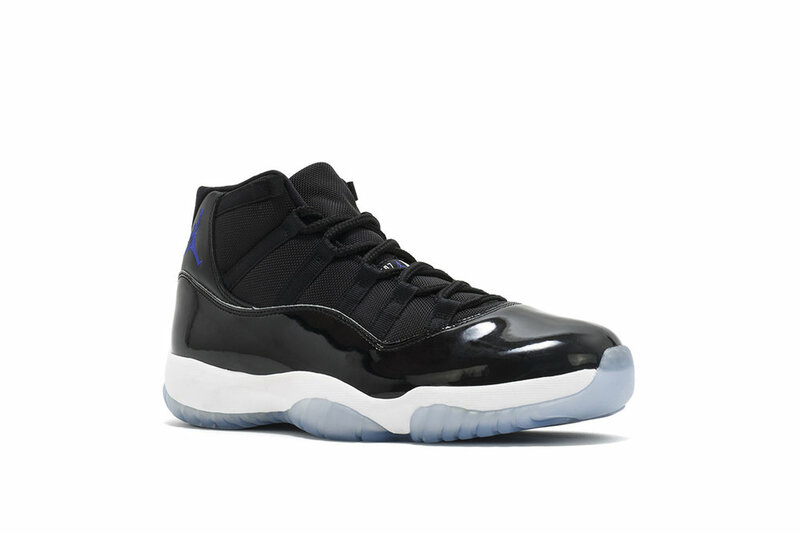 Jordan had been spotted wearing the Nike Air Ship (pictured above) in the black and red dominated colourway in the preseason leading up to the 84-85 campaign, and was thus sent a letter by NBA Commissioner David Stern informing that the shoes infringed the 51% rule and would incur a fine of US$5000 every time he donned the creps during the actual NBA season. Nike cleverly seized the opportunity and created the Air Jordan 1 ‘Bred’ with the same colourway (later dubbed by sneaker enthusiasts as the ‘Banned’). The shoe, designed by Peter C. Moore, was unveiled in 1984 and hit the market in 1985. Many believed that Jordan wore the sneakers in the NBA, with Nike covering the fine every game. Although it is true that Nike did indeed cover any fines accrued due to this rule, Jordan rarely wore the actual black and red dominated colourway during his rookie year, with only a handful of evidence that he ever played in them (one instance of which was the ‘85 dunk contest, but the event itself brought with it less of a strict dress code). This whole fiasco led to the creation of other colourways that included more white, some of which are the most sought after colourways today - the Chicago’s (pictured above), Black Toe’s and Neutral Grey’s. As the Air Jordan 1 was an overwhelming success, Nike continued their deal with Michael Jordan, creating the Air Jordan 2 for his sophomore year. Focus this time fell on a ‘premium’ feel, with Italian leathers, construction and aesthetics. 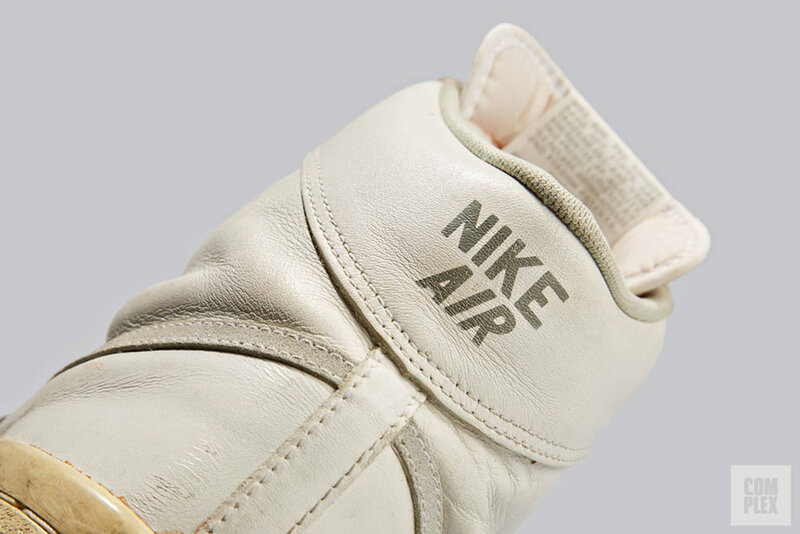 Designer Bruce Kilgore (the mind behind the Air Force 1) teamed up with Roger Moore to produce this shoe, which was the first Nike basketball sneaker to omit the swoosh, instead choosing to have ‘NIKE’ emblazoned on the heel counter and the Air Jordan wings logo on the tongue. The shoe did not come close to the cult levels of the 1, and is one of the least sought after in the original ‘retro’ Jordans (apart from the Don C ‘Just Don’ collaboration in 2016). 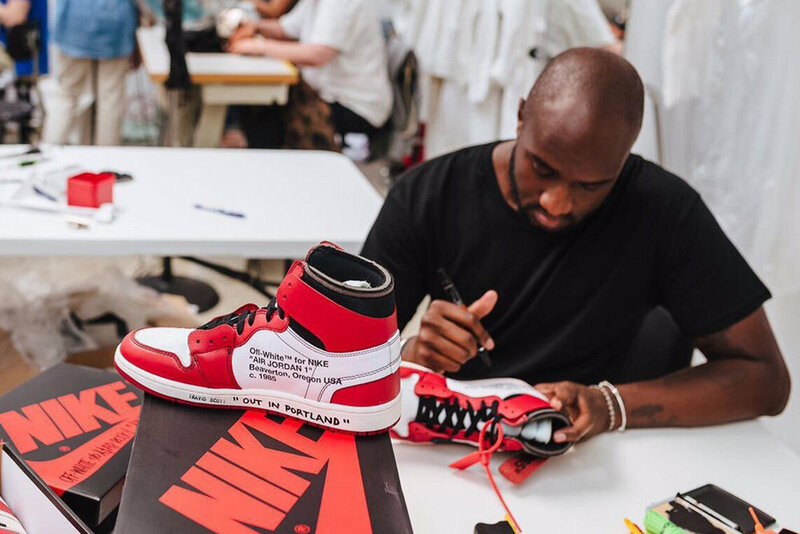 Jordan was prepared to leave Nike in 1986 when designer Tinker Hatfield (who would go on to design the next 12 Air Jordan models) stepped up to the plate. 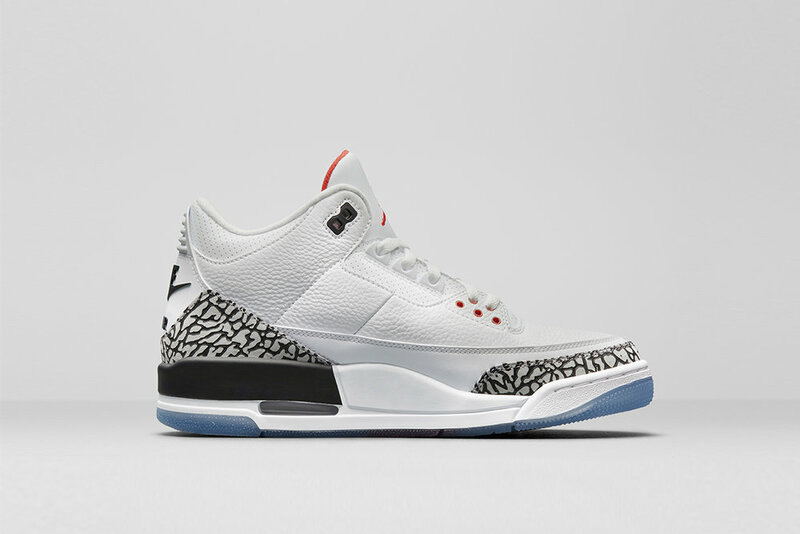 The Air Jordan 3, 1988, introduced the now prolific ‘Jumpman’ logo, a depiction of Jordan’s insane dunk leaping from the free throw line, legs spread in mid-air. This new sneaker also introduced the air bubble window, with Nike’s popular ‘Air’ technology clearly visible from the outside, which would go on to become a staple of future Air Jordan’s. 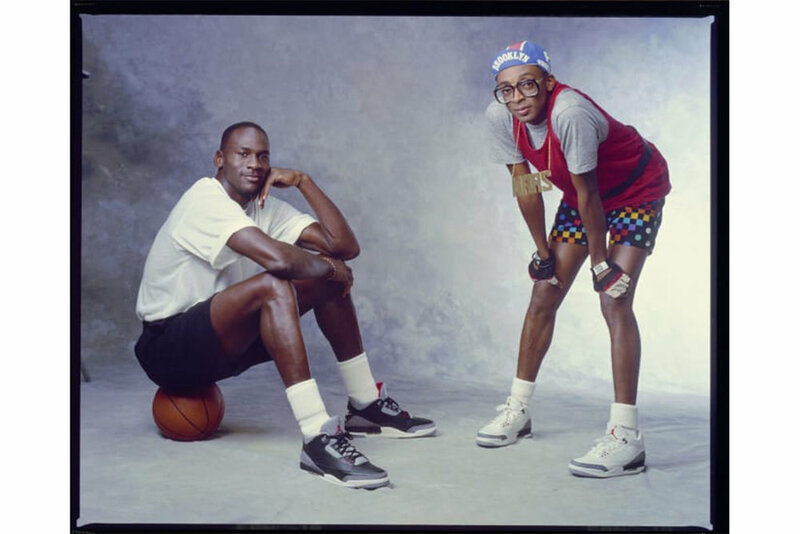 Filmmaker Spike Lee (pictured with Michael Jordan above) directed and starred in the viral advertising campaign for the Jordan 3, and the Air Jordan was as popular as ever, on and off the court. 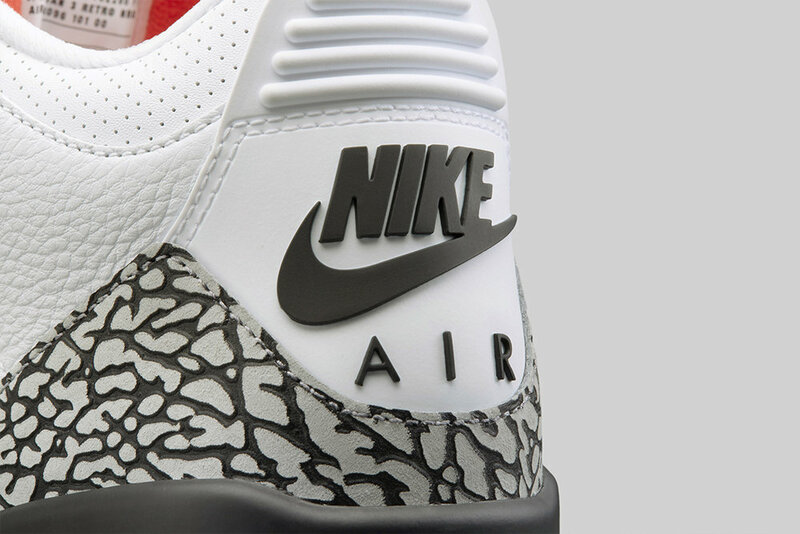 Tinker continued to design sneakers for the Jordan line, and its popularity continued to grow. However, a shift came when Michael Jordan suddenly retired from the NBA in 1993 after a third straight championship, instead deciding to pursue a career in baseball. Hatfield designed the Jordan 9 knowing full well that it was never going to be worn by Jordan on the court. Sales of the shoe suffered as well as its legacy into the future. When Jordan returned in ‘95, Nike released the 10, once again designed by Tinker, and the Jumpman surged back into popular culture. 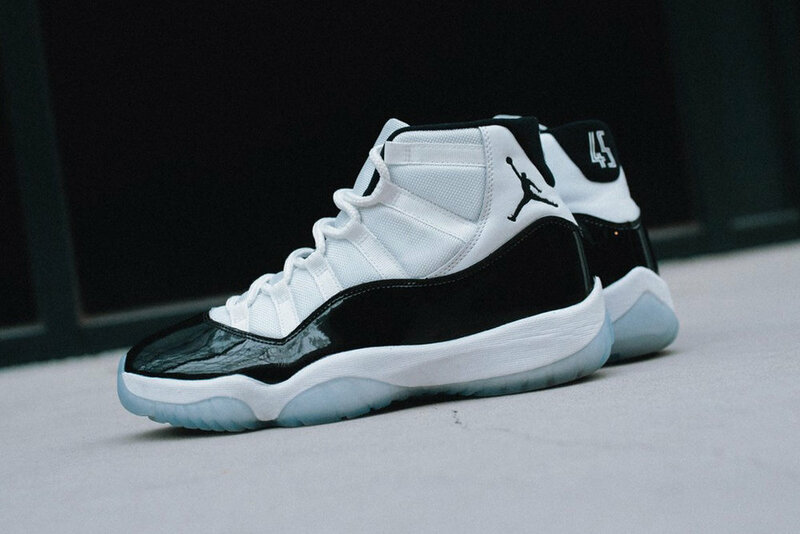 Tinker, Jordan and Nike continued with resounding success with the 11’s (which featured in Space Jam, Jordan’s feature-length Warner Bros. film), 12’s and to the 14’s. With the 15’s, Hatfield ended his first tenure designing for Jordan brand just as Michael Jordan retired from the NBA for the second time. Although Jordan would go on to return to the NBA for the third time, now playing for the Wizards, it was clear that it was the end of an era for the Air Jordan. 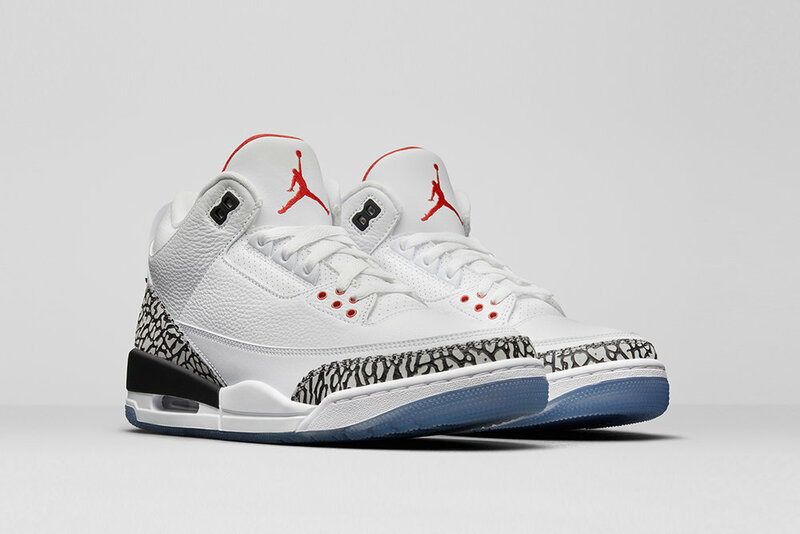 Many Jordans were produced in the years following, some of which were worn by the man himself on the court as he played for the Wizards, and some of which were designed once again by Tinker Hatfield, but Jordan’s first 15 sneakers (despite some being flops) are touted as the best. This original run of hit after hit became something so much more than just performance sneakers, all coming around nearing the turn of the century. Society in America continued to recover from the oppression of African Americans in the 1800’s well into the 1900’s. Basketball became an empowering icon for African American children, as Black men were placed on a pedestal for the first time in mainstream culture. Michael Jordan rose to prominence at the exact right time, with the blockbuster deal he secured with Nike being unheard of for a non-White male at the time. This underdog attitude was something identifiable to all marginalised communities and was further pushed by the ‘Banned’ narrative - fighting against the big bad NBA. The black and red shoes brought colour into a culture defined on blacks and whites. 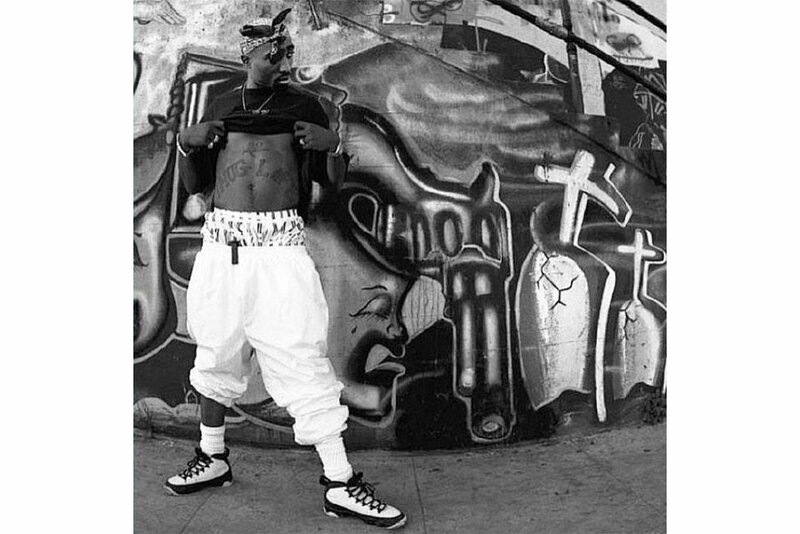 Wearing Air Jordan’s became a way of expressing this desire to stand up for one’s own culture, easily transitioning from the court to the streets. 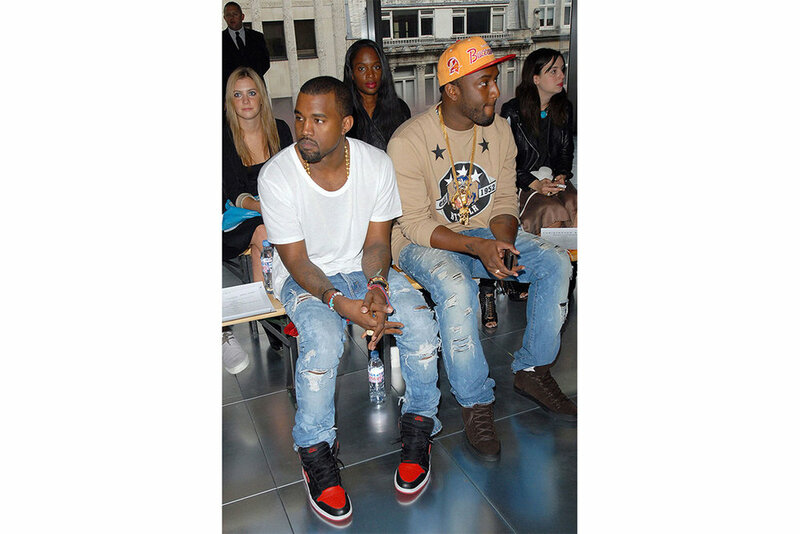 Celebrities of all natures endorsed the shoes and designs, rocking them in the streets. What Is Jordan Brand Today? 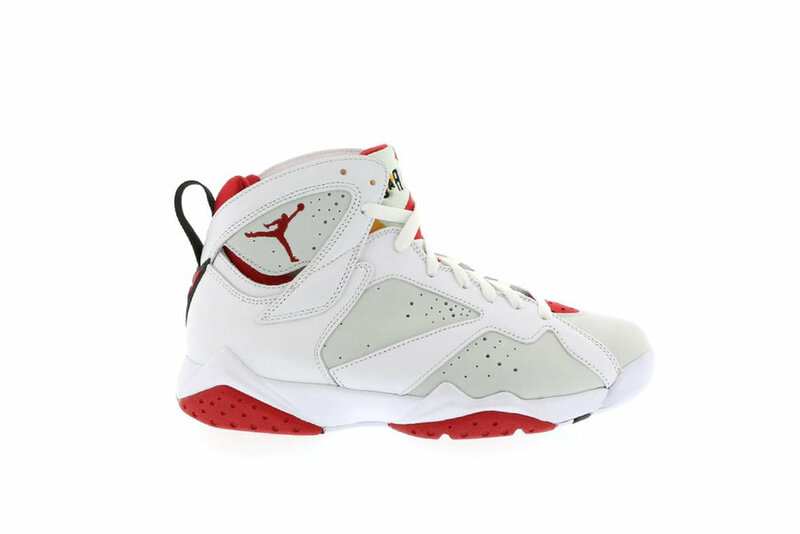 Nike identified the cult status rather quickly and began to re-release older Jordan models so that they would be more accessible to the general public, especially those who grew up in the era and now were earning money and could obtain the shoes. These releases were dubbed ‘retros’ and began in the mid-1990’s and only rose in popularity into the 2000’s. People were biting on the nostalgia of the shoes, and stock of retros would sell out in every colourway, both in physical stores and online. 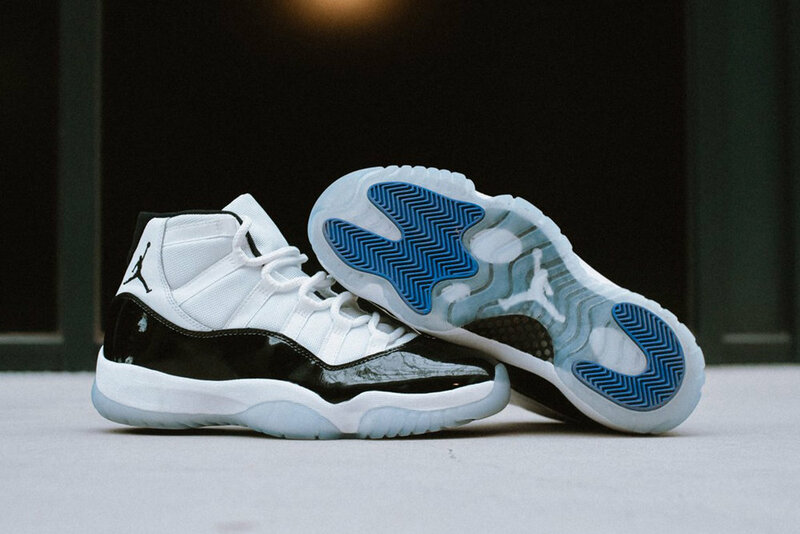 The hunt for Air Jordan’s became incredibly difficult, with marketplaces like eBay or forums becoming the only places to acquire retros released in limited quantities. These second-hand markets had their risks as scams and replicas became more commonplace. In response, a slew of second-hand marketplaces were born with the intention of reselling. 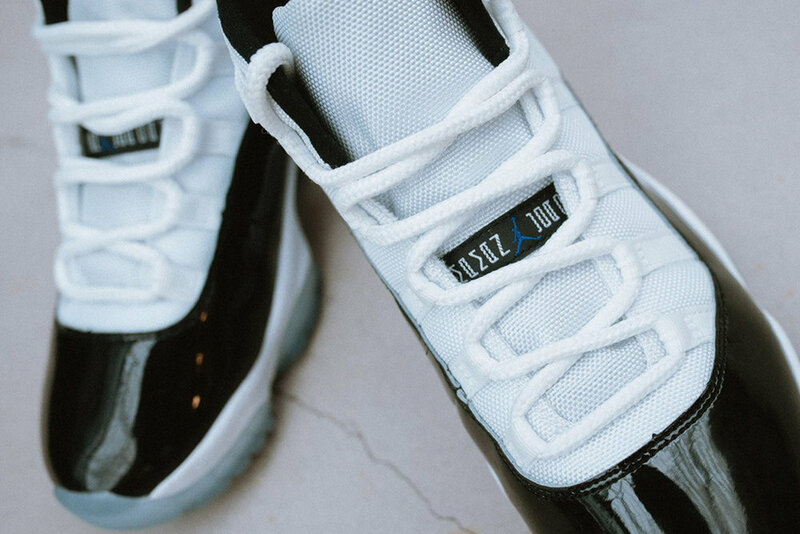 Online vendors like StockX, GOAT, Grailed as well as physical stores Round Two, Flight Club, Stadium Goods, became destinations for those looking for limited pairs of shoes. Prices began to rise and in response, Nike began to produce more numbers, and restock many retros. The market then quickly became saturated. Air Jordan’s stake in culture has recently hit a decline. On reselling markets, Kanye and Adidas’ Yeezy line has well overtaken His Airness in regards to sheer volume and prices. Jordan’s sit on shelves of local mall sneaker shops across the globe and this was only thanks in part to Nike’s flooding of the market, but also the increasing distance between Michael Jordan and basketball. Jordan has long since stepped foot on the court to play basketball, and many of the sneaker audience were not old enough to appreciate Jordan’s achievements in the NBA. 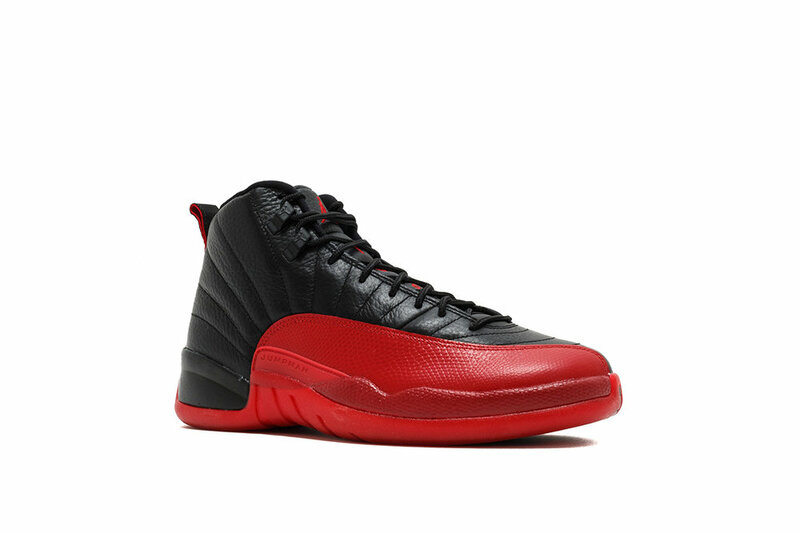 It might just be that the Jumpman just does not mean the same things as it used to. A rather low key and understated colourway, this shoe was one of the first to feature the elephant or cement print, black streaks piercing the grey accents around the toe box and the heel. 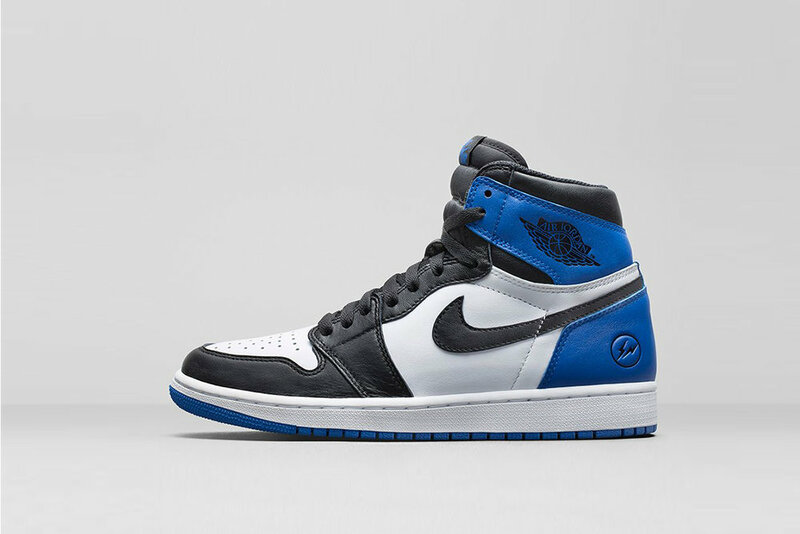 This 2014 collaboration between Jordan brand and Hiroshi Fujiwara’s ‘fragment design’ label is the most sought after pair of 1’s with very limited quantities. The only visible branding is a debossed fragment logo on the lateral side of the heel counter, that hasn’t stopped these selling for upwards of US$2000. 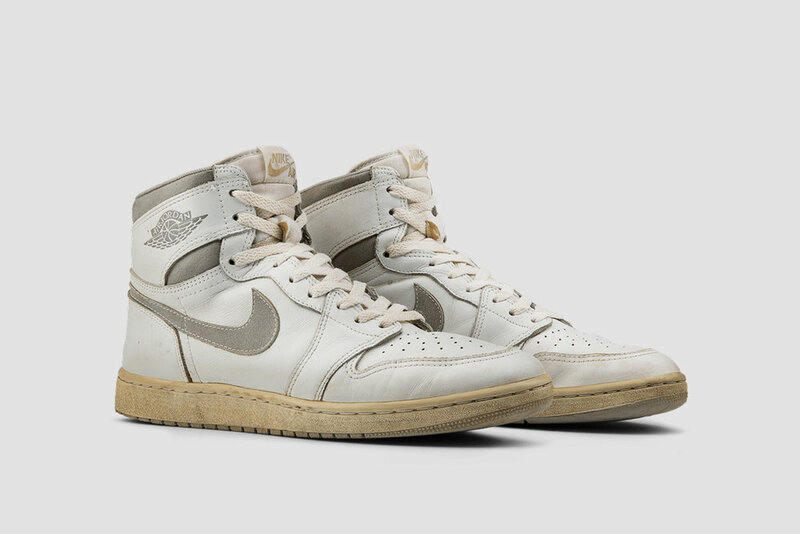 The only original colourway of the 1 not to receive a retro, the Neutral Grey’s from 1985 may be less well know but are a grail for many collectors of Jordan’s, and are incredibly hard to acquire, especially ones in wearable condition. 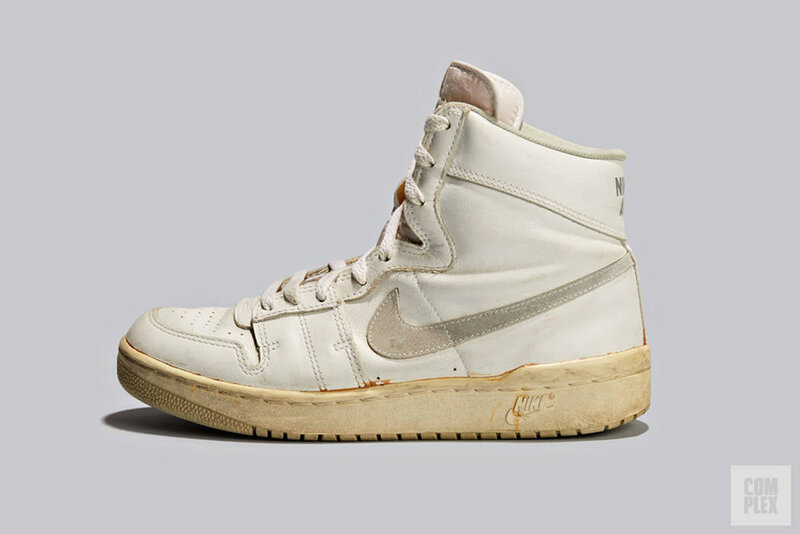 Since the shoes are over 30 years old, unworn pairs from the time succumb easily to dry rot, with the midsole crumbling, so well worn pairs are the only viable option. This bred colourway was given the name “flu game” by collectors after Jordan’s incredible game 5 performance in the 97 finals. Squaring up against the Utah Jazz, Jordan battled flu-like symptoms and still dropped 38 points in this very colourway. Just a ridiculously expensive pair of kicks, which was the result of a rather interesting link up from Eminem and Carhartt. The shoes were made to commemorate the 15th anniversary of Shady Records, with the proceeds of the auctioned sales (reaching US$20,000+) going to the Marshall Mathers Foundation. A simple colourway on one of the most recognisable Jordan models. The black patent leather sets this apart from the shoes before. 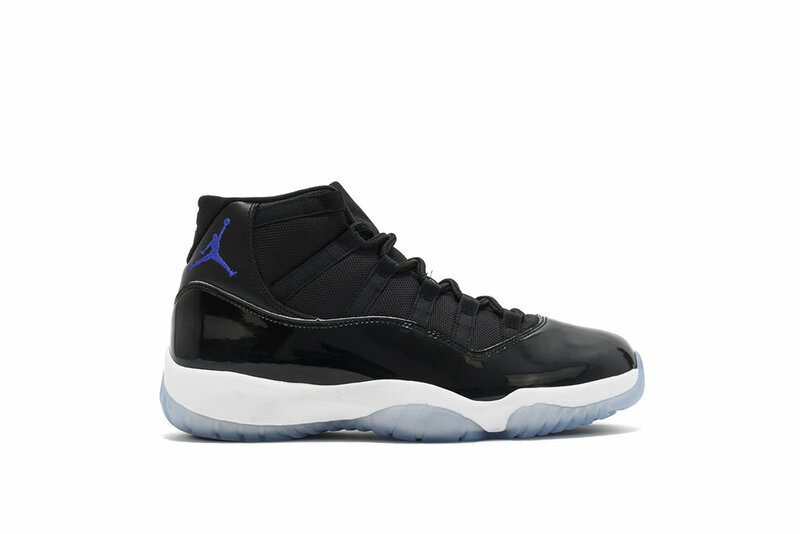 Worn by Michael Jordan in the Space Jam movie, as well as the 1995 finals campaign, this shoe has been retro-ed multiple times, with the 2016 release being the largest, seeing the 23 on the back replaced with 45, the number of his comeback jersey. Another stupidly expensive pair of shoes, due to only 72 being made for friends and family in 2005. A pair of these sold at Stadium Goods in 2016 for US$18,500. Just silly really. 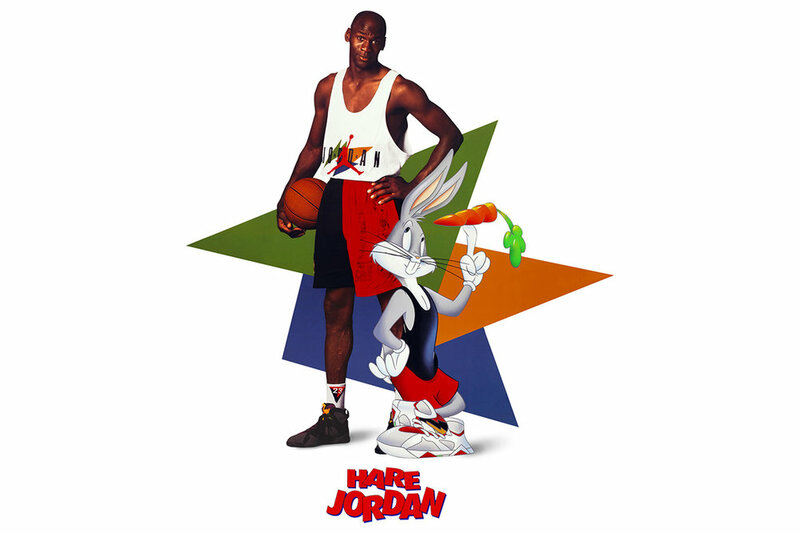 Although not a collaboration or highly sought after colourway, the Hare’s were donned by Bugs Bunny in the crossover commercial in 1992. Today, Jordan brand is still a staple of the streets and the courts, expanding well beyond the initial realms of Michael Jordan’s signature shoe. Jordan brand still sponsors plenty of NBA athletes, even giving Russell Westbrook two signature shoes under the Jordan name, as well as providing the uniforms for the Charlotte Hornets, a team which MJ owns (as it is based in North Carolina, his home state). The brand also sponsors other sporting ventures, such as footballs Paris Saint-Germain. However, nothing comes close to the impact that the line of the original 15 sneakers had on the world of sneakers and fashion on yesteryear and today. When I was a kid, my dad would tell me stories about Michael Jordan and his shoes. I remember begging for a pair every birthday, but they always seemed financial out of reach. But when I got my first job and got my first paycheck I knew exactly what I was spending my money on. Air Jordans. Like this article? Please leave a comment below to tell us what you think and also let us know what’d you like to see us cover next in our Stories.